As the end of the twentieth century nears, an asteroid is hurtling toward Earth. When it hits, the impact will result in the end of all life on the planet. Ambassador Spock travels back in time to subtly warn Earth's inhabitants of impending doom while calling into question humanity's priorities. 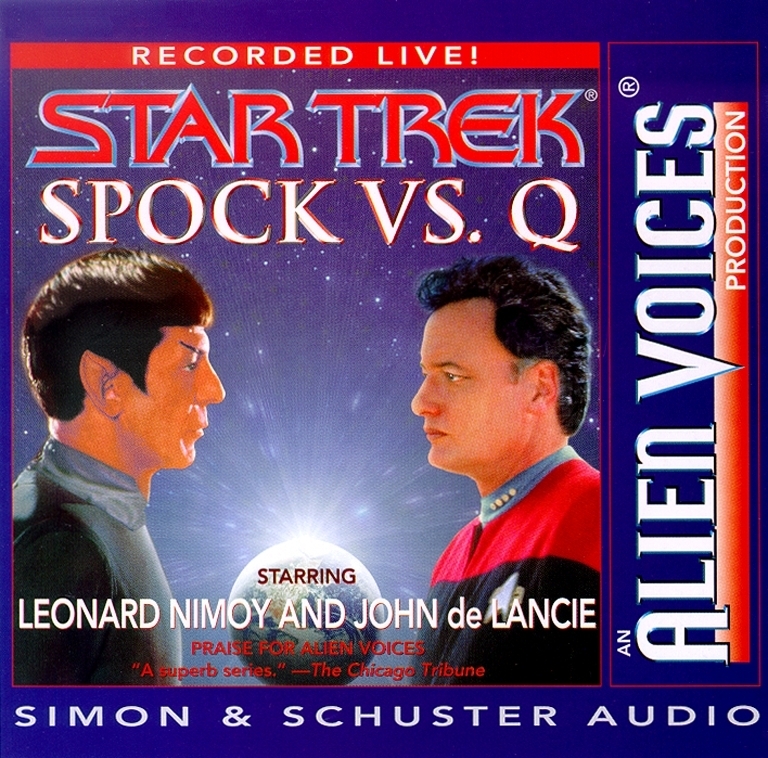 However, before the truth is told, the all-powerful being Q appears and reminds Spock that he is prohibited from interfering in Earth's history. Besides, Q doesn't see mankind as something worth saving. This initial encounter between the two legendary characters explodes into a battle of wits as Spock cleverly befuddles Q with his own words. As barbs are exchanged, and humanity's flaws and wonders are laid bare, Spock's logic just may convince Q that humans are indeed a species worthy of salvation, but will he be too late?